. :: Welcome to Mother Teresa College of Education :: Programs & Courses ::. Our institution offers B.Ed. Regular course since 2005. 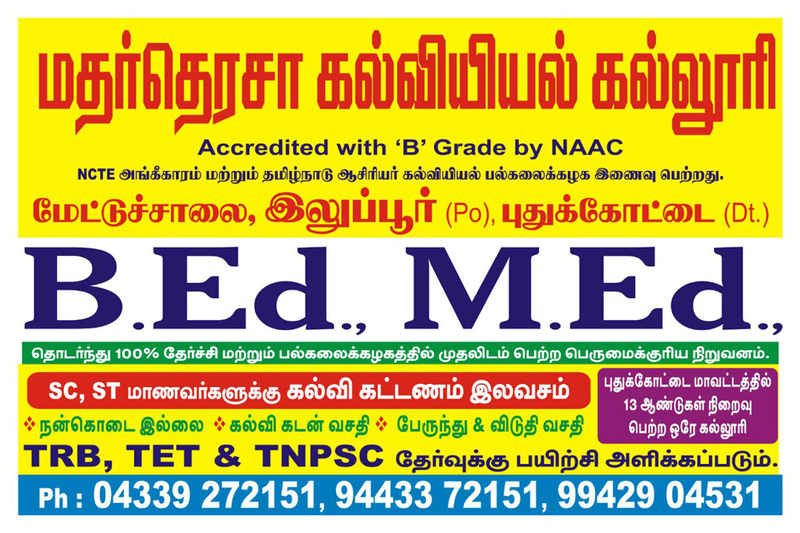 It is affiliated to TamilNadu Teachers Education University. It offers the following courses of study in the B.Ed. Program. And also the following subjects are offered from the year 2010 onwards. Our institution offers M.Ed. Regular course. It is affiliated to TamilNadu Teachers Education University. It offers the following courses of study in the M.Ed. Program.